There was hardly a catwalk of the various Fashion weeks for Spring 2014 that didn’t feature orange lipstick on their models. It is the lip colour of Spring this year. Move over red, orange is here and is more modern, youthful and trendier. Not only has the trend featured across fashion shows but it is hitting the red carpet too with A-list celebrities sporting the new trend. 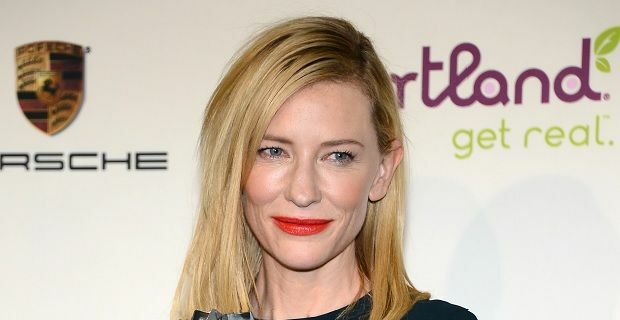 Cate Blanchett, Busy Phillips and Amy Adams have all been recently spotted sporting orange lips in various shades and at the recent SAG nominee party Lupita Nyong'o completed her look with a subtle orange glow. Wear it glossy or matte, full on bright tangerine or a little more subtle. If you are looking for the perfect shade check out our favourite options to suit any budget. For those of you with a little extra cash to splash on the latest colour lipstick then why not indulge in Sisley Hydrating Long Lasting Lipstick available for £33 from House of Fraser. Dolce and Gabbana have included their Delicious shade in their Classic Cream Lipstick range. It is available from Harrods.com for £24. Alternatively try Le Metier de Beaute Last Tango which is available from net-a-porter.com at £25. If you don’t want to be spending more than £20 there is a lovely selection of mid-priced orange lipstick available. Take a look at & Other Stories Burdet Orange £12 from stories.com or NARS semi matt lipstick in Heatwave which is available for £18.50 from narscosmetics.co.uk. MAC Cosmetics also have an orange lipstick available for £15 – check out the Morange shade. For those on a tighter budget there is no need to be left out and you too can enjoy bright luscious orange lips. Head straight to Boots where you can pick up a stick of Model’s Own lipstick in Orange Aid for £6, Revlon ColorBurst Crayon in Mischievous for £7.99 or Rimmel's In Love With Ginger for £6.49. If you are unsure as to how to get the best from your new stick of bright orange lipstick then check out our tips and advice on how to get the best from this new lipstick colour trend.